Incorporating more ingredients or just plain air into frosting makes it fluffy and increases its volume. This technique works with homemade frosting or the kind you buy in a can. 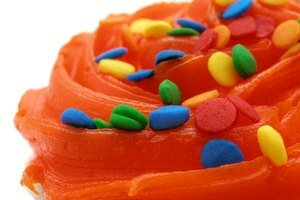 To stretch the icing even further, use certain techniques when you apply the frosting. 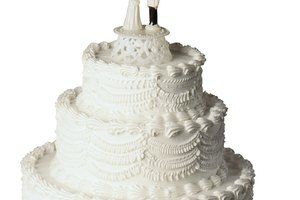 For example, let your cake cool completely before frosting it so the icing doesn't slip off. 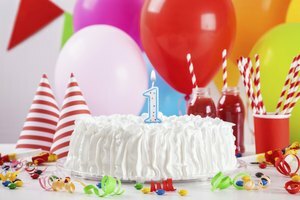 The frosting you have will go further if you keep it at a spreadable consistency -- frosting that is too thick won't spread as far or as evenly. 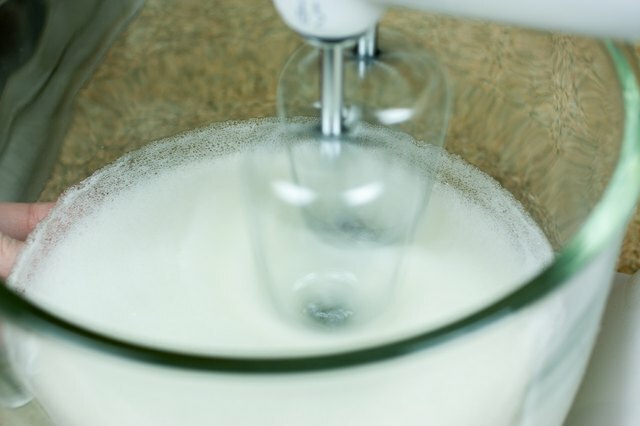 Thin out thick frosting by whisking in a teaspoon or more of milk. And just as cooling a cake completely helps the frosting spread out but not fall off, partially freezing the cake serves the same purpose, making a soft cake easier to frost. Set the cake layers in the freezer for 30 to 60 minutes before putting on the icing. 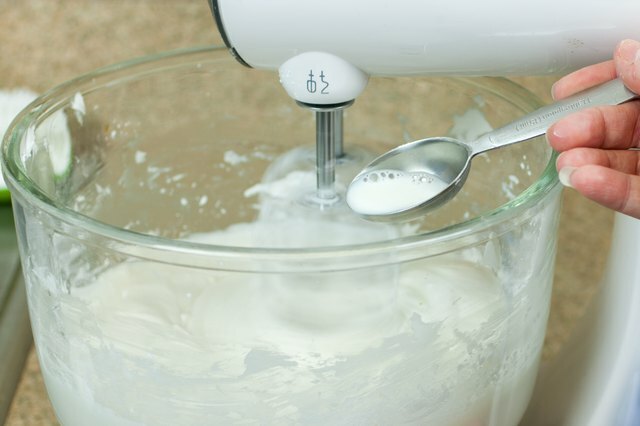 When you mix canned or homemade frosting for about two minutes using an electric mixer, you incorporate air into the ingredients. 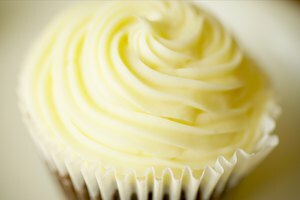 As a result, the frosting doubles in size or volume, takes on a fluffy appearance, and gains a light texture and taste. Overmixing can backfire, however, and cause the frosting to lose the fluffy texture and form lumps or curdle. Stop mixing as soon as the volume doubles. 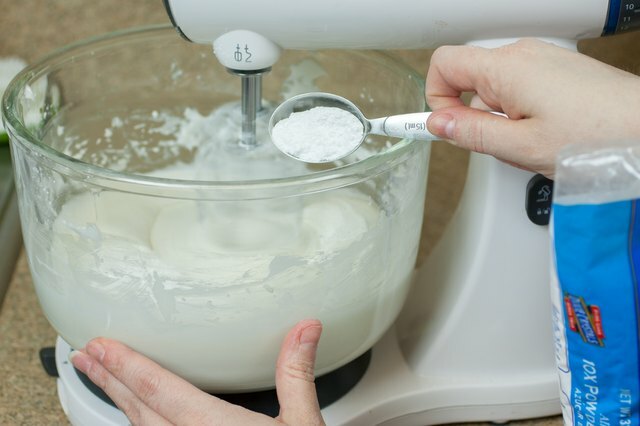 When you add powdered sugar and liquid into frosting, you control how far to extend the volume. Add from 1/4 cup to 2 cups of powdered sugar, in 1/4-cup increments, depending on how much more frosting you want. 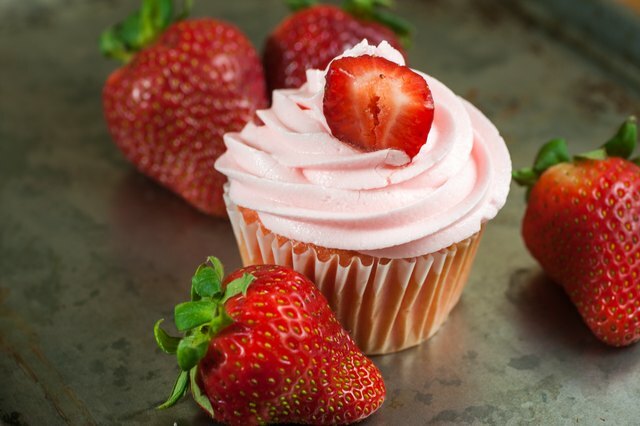 Alternate the additions of sugar with a tablespoon of liquid until the frosting reaches a spreadable consistency. Stir or whip thoroughly between each addition. 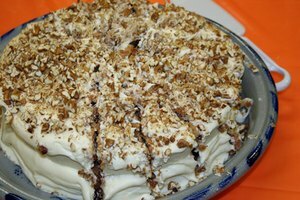 Use milk or water if you don't want to change the flavor of the original frosting, or change the flavor by adding coffee, tea or juice. Some frostings, such as Swiss buttercream, rely on egg whites for fluffy volume; the same concept works with any eggless frosting. 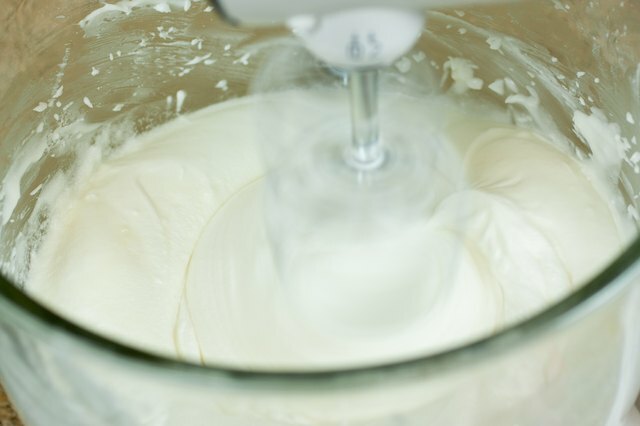 Transform your frosting into a meringue by beating egg whites until they come to soft peaks, then folding them gently into the original frosting. You'll get about 1 cup of meringue -- and 1 more cup of frosting -- for each beaten egg white. Use pasteurized egg whites to avoid any risk of salmonella poisoning or cook the egg whites, before beating them, until they are warm to the touch to kill the bacteria .